(SPOT.ph) Though many consider March the start of summer in the Philippines, Manila’s perpetual heat makes it feel like the sunny season all year-round. If you feel like the heat’s starting to get to you, keep your cool at these chill dessert places. Whatever you’re in the mood for—from soft serve to milkshakes—this list has you covered. 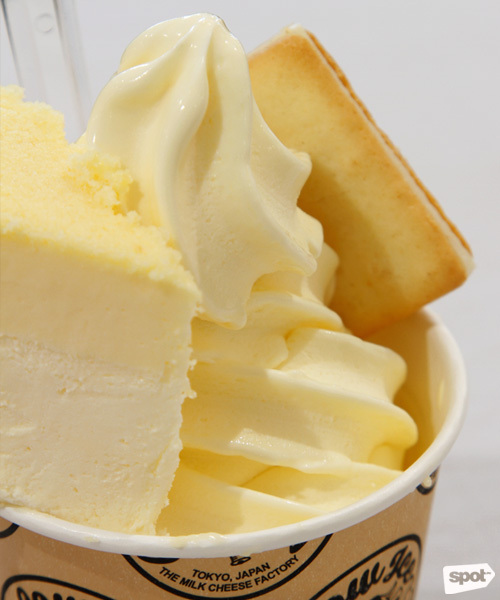 Hokkaido-based Tokyo Milk Cheese Factory uses their excellent Hokkaido milk and cheese to whip up cheese soft serve at Cow Cow Ice. 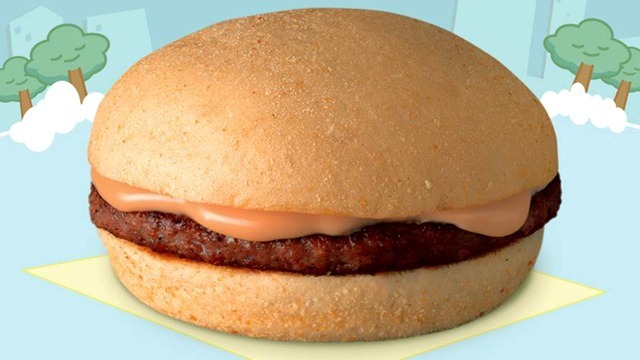 There are three equally yummy variants you can choose from: Milk (P130) with Hokkaido milk blended with mascarpone cheese, Cheese (P150) with sharp Gouda and cream cheese, and Mix (P150) which is a combination of both. These cold treats have a bold cheese flavor and an enjoyable sweet-saltiness. Add a few bucks to have your soft-serve cup topped with Tokyo Milk Cheese Factory’s signature cheese biscuits or even a slice of cheesecake! For any matcha lover, Tsujiri is paradise, with their menu of matcha-based drinks and desserts. This Japanese café has been serving green tea for over 155 years, and as one of the tea-shop pioneers in Japan, they make sure to only use real high-grade matcha—no artificial green tea flavors here! Tsujiri has become rightfully popular for their Tsujiri Sundae, which you can get in either Matcha or Vanilla. 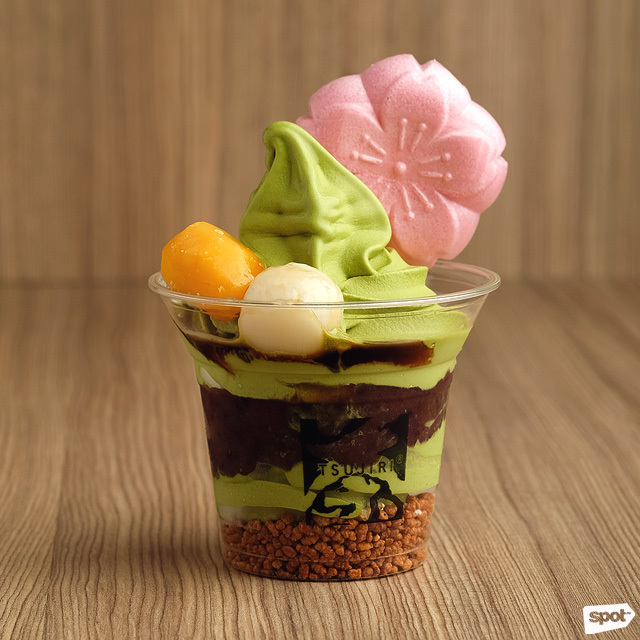 The Matcha Tsujiri Sundae has soft serve rich with matcha’s distinct sweet-earthy flavor. It’s then topped with red bean paste, mochi, genmai or toasted rice, and a cherry blossom rice cracker that makes this sundae picture-perfect. The secret to this Seoul-based café’s extra decadent soft serve? A generous layer of mascarpone cheese, which adds richness to their purely milk-based ice cream. 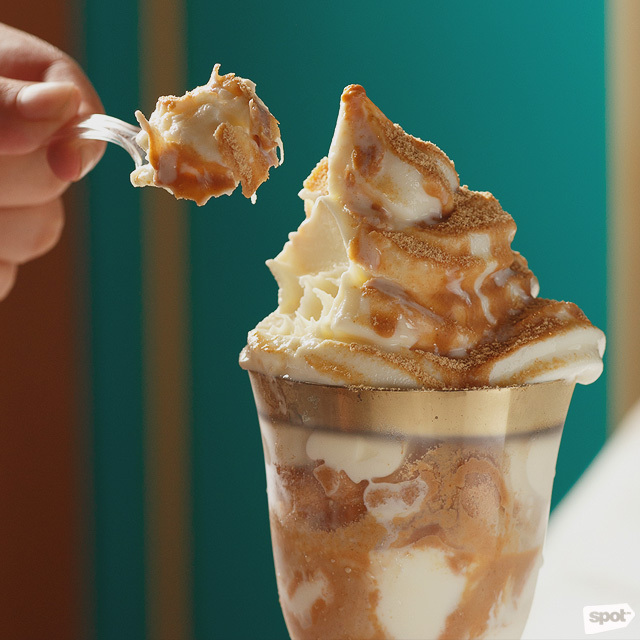 Kiss The Tiramisu, as their name suggests, specializes in tiramisu soft serve, and it isn’t simply flavoring. They turn the familiar tiramisu elements into a cold treat, topping off their sundae with coffee sauce, mocha and chocolate cookie crumble, dark chocolate shavings, and, of course, that glorious mascarpone. With fun orange-and-black décor and an adorably dapper penguin, Vampire Penguin will bring out your inner child. Their shaved ice desserts—their own versions of the Taiwanese dessert baobing—are all kinds of fun, too. This dessert haven turns almost every kind of sweet, from halo-halo to s’mores and cheesecake, into snow treats. 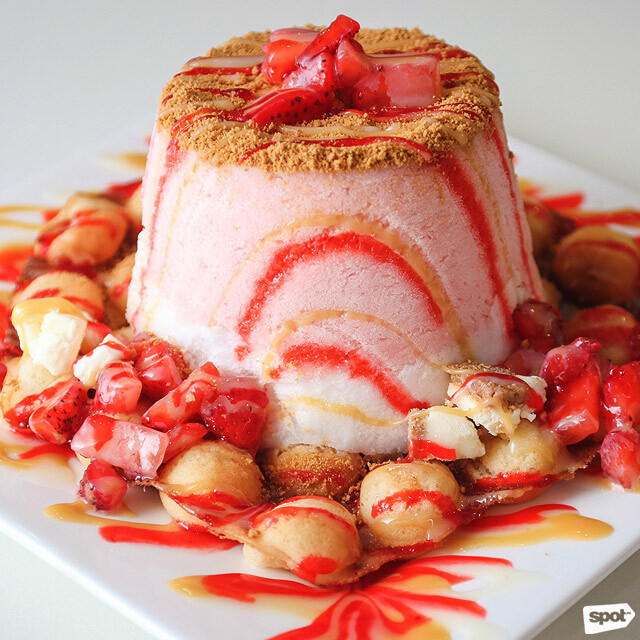 A must-try is the ultra-indulgent Strawberry Cheesecake (P280/large), a dome of milky strawberry shaved ice atop a fluffy bubble waffle, which is then finished off with crushed graham crackers, cheesecake chunks, white chocolate sauce, condensed milk, fresh strawberries, and lots of strawberry syrup. Your sweet tooth will approve. Dainty and pretty, K Bingsu Café is perfect for cute dates with your S.O., just like the ones in your favorite Korean dramas. There’s enough sweetness from their bingsu to go around, too. 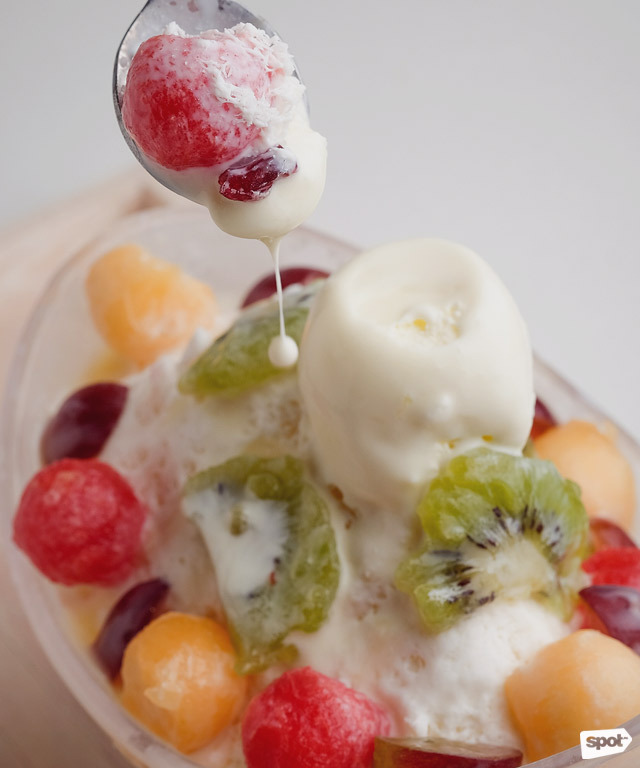 K Bingsu sticks to the classics with their toppings, like mango, strawberries, blueberries, and traditional Korean sweets like injeolmi (roasted soya bean paste) and red bean. 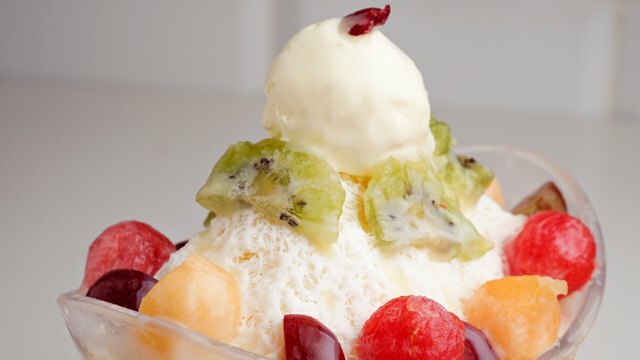 What’s noteworthy at K Bingsu is how generous they are with their toppings; plus your bingsu comes with a sweet surprise center—usually fruit or jam—hidden in the milky snow-like ice. 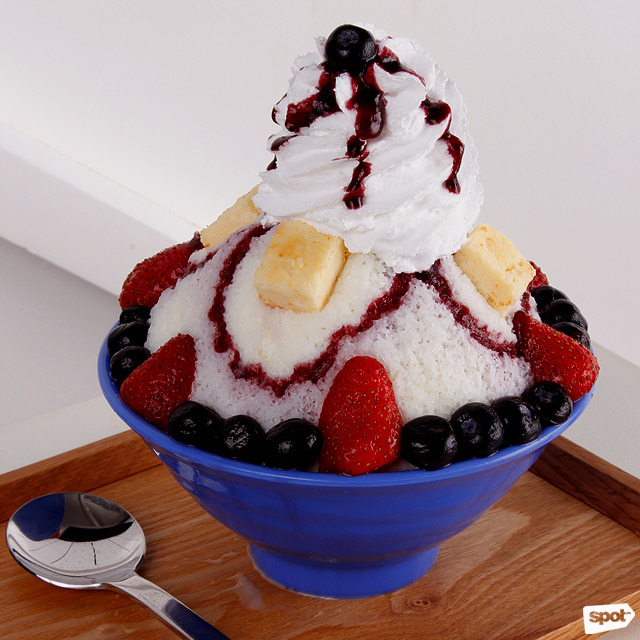 Snowbing’s quaint and minimalist corner at Trinoma belies their over-the-top, extra-in-the-best-way bingsu. Not only are their shaved ice creations brimming with color, they’re packed with flavor too, from chocolate and syrups to fruits and berries. One of their most picture-perfect bingsu is easily the Tropical Fruit (P168), topped with kiwi, strawberries, cherries, and more, plus a generous helping of condensed milk to amp its sweetness and decadence. You also can’t go wrong with the classic Mangoes and Cream (P168), topped with crushed Biscoff. Shakeaway could pass for a candy store, with a shelf filled with all kinds of chocolates, candy, and other sweets imaginable, plus a few crunchy and savory items, too. But these goodies aren’t for sale; they go into their thick milkshakes, and with their wide variety of add-ons—180 in total—you have a countless number of combinations to try. If you find choosing from the extensive menu a little too stressful, you can opt for their Named Shakes. 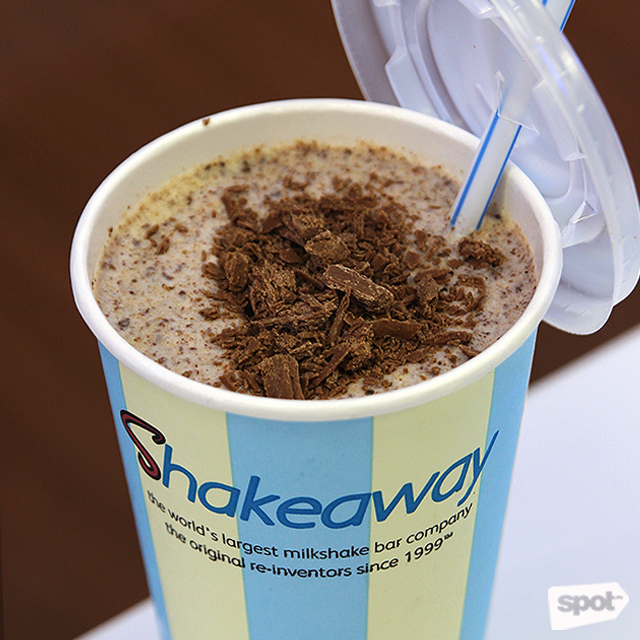 The Dave (P330/regular, P390/large), a chocolate shake with Ferrero Rocher, Kinder Bueno, and Cadbury flakes is a favorite. 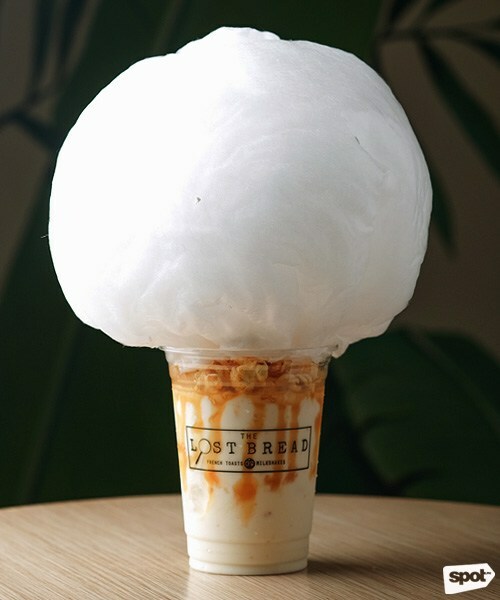 Though The Lost Bread has expanded their menu to include soft serve, French toast cubes, and even savory dishes, their crazy Overshakes and Cake Shakes continue to be their bestsellers. One of their most famous shakes, The Carnival (P180), is on our top 10 vanilla milkshake list, and not just because of the cloud-like cotton candy topping and caramel popcorn-rimmed glass. Their thick butter pound cake-flavored shake is smooth and creamy all throughout, plus the caramel syrup gives this drink a Butterball candy-like flavor that’ll hit you with a wave of nostalgia. To really get into the summer mood, have your drink at their Mega Fashion Hall branch, bright and bursting with color and freshness from pastel walls, an accent mural of palm trees, and a “grass wall” with jungle leaves encased in glass. With crazy colorful cereal-rimmed cones and psychedelic murals, Emack & Bolio ticks off all the boxes for a double tap-worthy ice cream-against-the-wall photo. 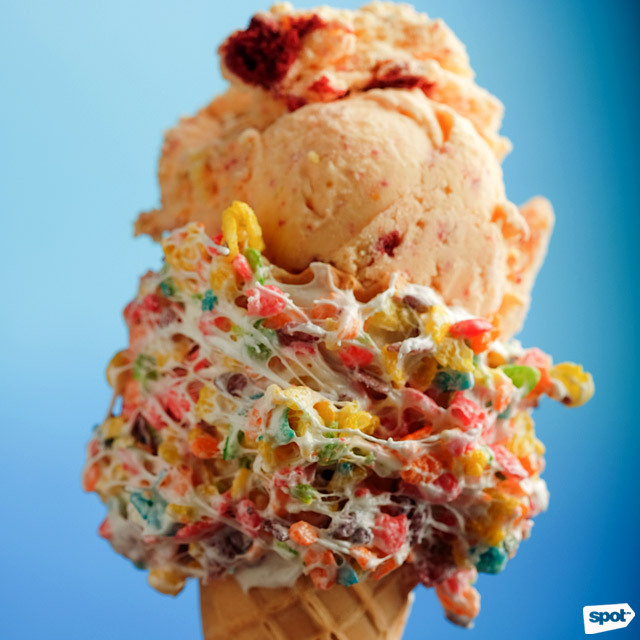 But this ice cream parlor from Massachusetts isn’t just about aesthetics. Prepare for fun eccentric flavors like Space Cake (P165/one scoop, P265/two scoops, P365/three scoops), cake batter ice cream with huge chunks of shortbread cookies and red velvet cake, and “Deep Purple” Chip (P165/one scoop, P265/two scoops, and P365/three scoops), black raspberry ice cream with white and dark chocolate chips. 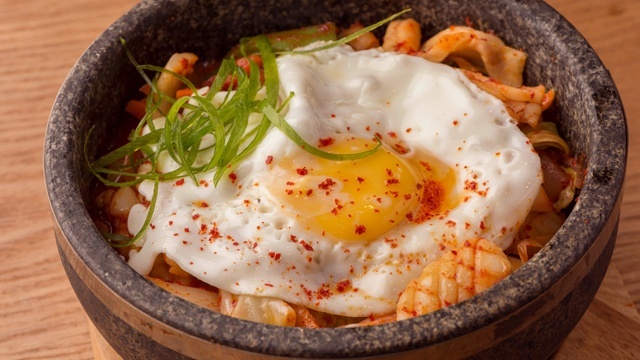 Since the menu of flavors changes every week or so, you can always try something new on your next visit. Rolled ice cream is a fad that’s slowly rising in the Metro, and we’re not that surprised. Aside from being a pretty unique way to have your next cup of ice cream, they usually look daintily picture-perfect, too. 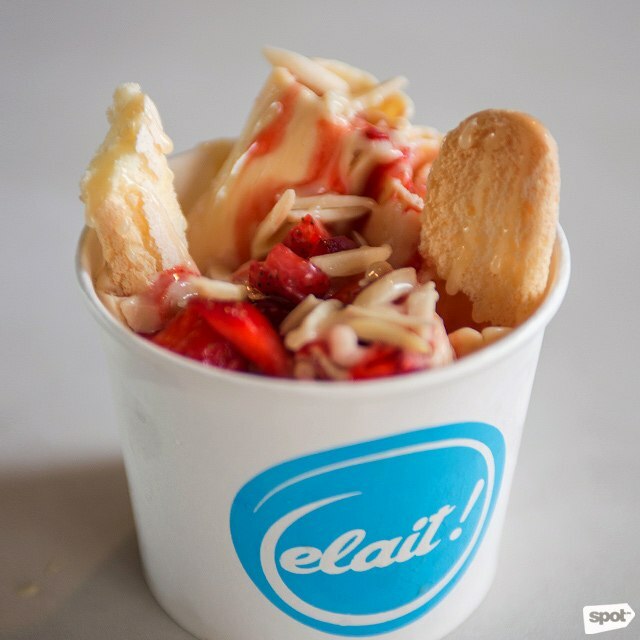 The ones by Elait definitely do—especially their Strawberry Trifle (P180) with fresh strawberries rolled in strawberry ice cream then topped with cream cheese, broas, and strawberry drizzle. Though sweet and indulgent, it tastes fresh, too—after all, all the fruit they use are locally and ethically sourced. Elait is also pro-inclusivity, working in partnership with the Philippine Deaf Community by providing livelihood to their deaf partners. Not only are you treating yourself, you’re supporting a good cause, too.